In a very short period the Indian temporary student population of Australia has risen to around 100,000. In the process a number of them have been attacked, some killed in a sequence of events labelled by Indian activists and media as racist. The Australian media have been anxious to test these claims, foregrounding government claims that Australia is not a racist country. A war of journalists has erupted, in which “media spin” has taken an unprecedented place as the focal point of public policy. 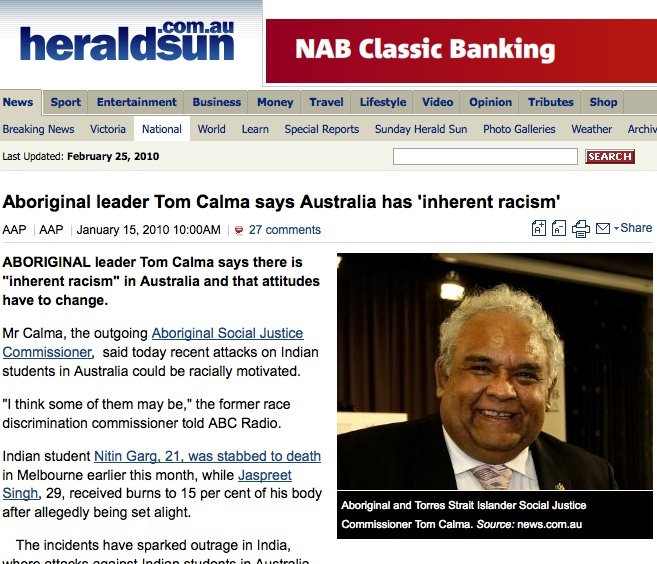 Major broadsheet newspapers such as Melbourne’s Age have begun to erode the legitimacy of key Indian student representatives, while the popular media have vacillated between embarrassing the government’s continuing denial of racism by reporting racism claims, and attacking the claims of racism by reporting police “lack of evidence” of racism statements.